It’s night before the Dallas Regional Championships, and Drew Nowak is trying to squeeze in some practice with a last-minute Pokémon team. Despite not fully understanding the intricacies of the new team, he rises above hundreds and wins the entire tournament. A couple months later, he uses a last-minute team again and takes top four at the St. Louis Regional Championships. For those who don’t follow competitive Pokémon, it may sound as if Nowak just got lucky. Most players spend anywhere from a few hours to weeks building, refining and practicing with a Pokémon team before bringing it to a live event. Even if his last-minute team is well-built, surely a good player should be able to defeat an opponent who is still feeling a team out, right? 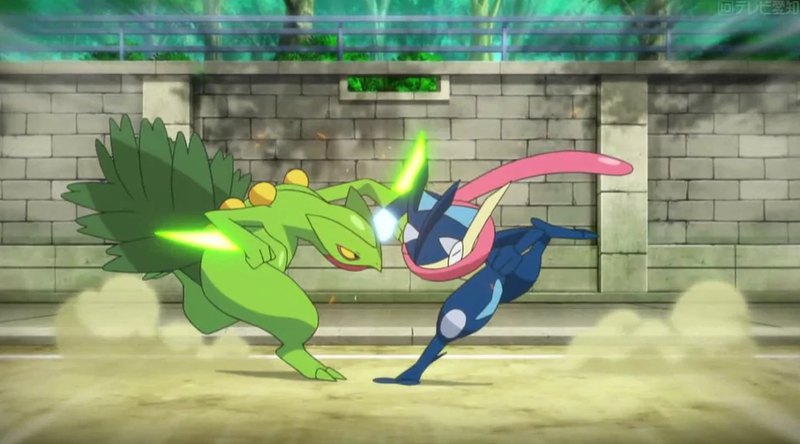 As it turns out, constant preparation and practice aren’t of central importance in competitive Pokémon. Some players understand the game so well that they can outplay their opponents with a team that was literally just handed to them. While last second teams have worked out for Nowak in 2017, that’s not how he prefers to operate. Even so, the need for impromptu teams is common enough in competitive Pokémon that Nowak, like many other players, has built a network of team-building experts. For Dallas, he sought help from Eduardo Cunha, a player who finished in the top four of the 2016 World Championships. For St. Louis, Nowak got his team from Tommy Cooleen, who finished in the top-eight of both of this year’s International Championships. These are players who can thoroughly test teams and offer advice on how they function, allowing Nowak to pick them up on the fly. Other people chip in, too: in the case of St. Louis, he attributes some further team tweaks that were suggested from acclaimed players such as Chuppa Cross IV, Alberto Lara, Joshua Lorcy and Justin Carris. Considering how much work can go into a single team, it may feel odd that other players are so willing to just give them away. However, it’s important to remember that players are friends as well as rivals. And since not every player attends every tournament, they often have teams sitting around that they won’t be using for quite some time (or possibly ever). In those situations, many are happy to lend them out to those in need. Plus, since the metagame can develop at such a fast rate, there’s rarely an incentive to keep teams a secret, unless it’s for the World Championships. So, if there’s a big gap between when a team is built and a player’s next tournament, it makes sense to help out a friend. There are cases where players help those they’re technically competing against, but player camaraderie often trumps a desire to win. After all, the next best thing to winning a tournament yourself is knowing you helped a friend win. Unlike Nowak, Markus Stadter, the winner of this year’s Leipzig regional, often plays it close to the chest on purpose. That’s why, when Stadter builds Pokémon teams, he shies away from “objectively good” teams. Instead, he’ll start with a core of reliable Pokémon and add the remaining members to the team based on what he expects to face. And since popular strategies can fluctuate the day before an event, Stadter waits, too. Popular strategies can fluctuate the day before an event. If Stadter spends weeks building and practicing with a team that’s invalidated the day before an event, it can be frustrating. Part of his wait-and-see strategy is about using his time wisely. Fortunately, his raw skill and experience sometimes helps him beat a more practiced opponent. His team-building strategy is also influenced by the event in question. When he placed in the top four of the 2016 World Championships, he spent months building and testing his team with Wolfe Glick (the current world champ) and Brendan Zheng (who finished top-eight in the seniors age division). In that situation, he wanted to be as prepared as possible because his whole season was on the line. But when it comes to the less important and more frequent regional championships, he can get away with skimping on practice. Finally, there’s Rajan Bal, who won this year’s first International Challenge, an online, best-of-one tournament played through Sun and Moon’s Battle Spot. His first game with the team—which he didn’t build—was his first game of the tournament. Unlike Nowak and Stadter, Bal actually has a much more consistent streak of last-minute team use. At the 2016 US Nationals he finished 12th and at the World Championships he finished 25th. And in addition to his International Challenge win from this season, he placed in the top eight of the Athens, Georgia regional with a team he’d never tried. Unlike many others, Bal doesn’t spend much time practicing on the ladder throughout the season. He gets all that out of the way in the early months. Bal isn’t exaggerating either. At Nationals 2016, he decided on a third of his team the day before. Then, as he was walking to register his team, he swapped some items around. Those may sound like minor changes to the uninitiated, but they can completely change how a team functions. He’s also not exaggerating when he said he’s building all the time: Bal does it while he’s trying to fall asleep and pretty much whenever he has a free minute. Bal doesn’t mean he’s searching for a team that will strike such fear in his opponent’s heart that they forfeit on the spot (though he probably wouldn’t mind finding that team). What he means is that he looks for teams that are so good, all thought is removed from playing. In an ideal situation, he can execute his strategy like a flowchart in as many games as possible. The thing is, while a lot of thought goes into coming up with a team, Bal doesn’t often get a chance to try his ideas out. After all, with such a rapid rate of team-building, it would be infeasible for him to test out every team he creates. As a result, while he is thoroughly prepared in one sense, he is underprepared in another. To prep or not to prep? Nowak, Stadter and Bal all have their reasons for using teams they haven’t practiced with at tournaments, so don’t take this as proof that VGC is so easy people don’t even have to play to win. Making that claim would be easier if there were other esports to compare it to, but it’s often difficult to find parallels between Pokémon and other esports. After all, this trend wouldn’t quite line up with a hypothetical scenario where ZeRo, for example, wins a major Smash 4 tournament with a character he’d never used. All the same, consider this trend as proof that Pokémon is a thinking-man’s esport. Once a player reaches a certain level of understanding, it’s totally possible to succeed without the endless hours of grinding that goes into other games. In a way, the one who puts in the most time won’t always be the better player—it’s the smarter player who wins. Jason Krell is a freelance journalist, VGC player and editor-in-chief of the Saffron City Post.